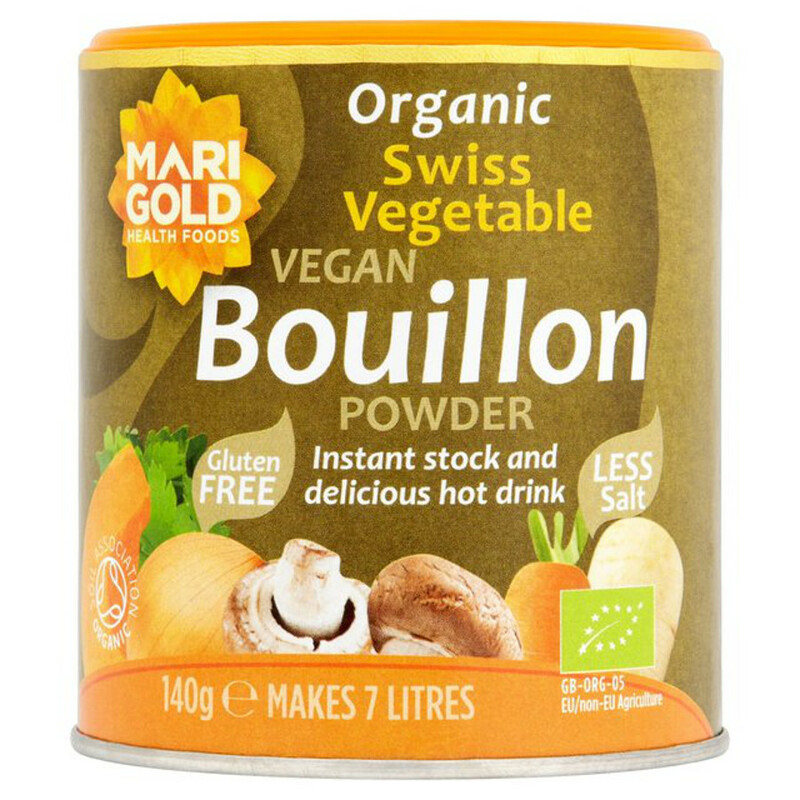 140 grams organic, Reduced Salt Bouillon from Marigold, ideal to make delicious stock or a tasty hot drink. The Marigold Organic Bouillon Powder - Reduced Salt - 140g product ethics are indicated below. To learn more about these product ethics and to see related products, follow the links below. Lovely flavour, like that it is reduced salt and it is organic. Would love this to come in a bigger size. Very good bouillon. I use it in everything - it works very well as a coating before frying. mixed in with the flour. Q: Is this reduced salt bouillon the NON vegan one? I have tried VEGAN reduced salt bouillon and do not like it. The NON vegan one is delicious as a drink. A: The manufacturer claims that this Bouillon is free from Dairy, Gluten, Mono Sodium Glutamate (MSG), Nuts and Hydrogenated Oil, but it does not claim to be vegan. Jo.